Wealth Mindset Tip #1: Visualize your goal. It’s not enough to just say you want to "be rich." You have to make the conscious decision to create a clear goal and visualize all the details. It’s best to focus all of your energy on one thing rather than spreading yourself too thin. Wealth Mindset Tip #2: Be specific. Break down your goal into minute details and start thinking about the exact steps you need to take in order to get there. Wealth Mindset Tip #3: Break up the plan. The goal seems huge at first, but once broken down into smaller, more manageable steps, it doesn’t seem so bad. Focus on each individual task that you need to complete, and then congratulate yourself once you achieve each step. Wealth Mindset Tip #4: Take action. It’s easy to get caught up in the daydreaming and planning phases of your goals, but action is what it takes to get you there. Your dreams become realities with action; otherwise they’ll just remain dreams forever. Wealth Mindset Tip #5: Seek a mentor. Sometimes people are tempted to go at it alone, but you’re not alone in this world! There are many out there that would like to see you succeed and it’s your responsibility to find these like-minded people. Perhaps a business mentor or life coach may be just what you need to give you that extra push. Wealth Mindset Tip #6: Focus on your thoughts. If you’re experiencing confidence issues, it’s important to take time to focus on your thoughts. Do you really believe that you can achieve wealth? Are negative thoughts holding you back? If necessary,remind yourself that wealth is possible and that success is a very real possibility for you as well. Wealth Mindset Tip #7: Believe you deserve it. Believe that you are worthy of achieving wealth. If you don’t think that you deserve it, you may unconsciously set yourself up for failure. In turn, you may actually become the roadblock that prevents you from the wealth you deserve. Many people don’t realize that strategies for building wealth actually requires you to build up your life mentally, emotionally, spiritually, and financially. The words "health" and "wealth" actually come from the same root, which means "wholeness" in the sense of being complete. When you do things to make your life wealthier, you should also be doing things to make your lives healthier. Surely, to attract wealth you have to be in business in some way, shape, or form. If you aren’t doing some kind of work, you aren’t attracting wealth. Also remember that people don’t get wealthy overnight. Yes, there are your lucky lottery winners who wake up rich after buying a single ticket, but more often than not, wealth is earned by hard work. Patience is just as important as charting your progress toward wealth. If your current job isn’t meeting your needs to reaching financial freedom, then take action and look for a job that will pay you more. Mentally, you attract wealth by creating a positive mental state where you fully understand and believe that you deserve to be wealthy. Once you have created this positive image in your mind, you must have a clear vision of what your live will be like when you are wealthy. What will you be doing with your time? Where will you live? What things will you do? What will you give to others? Emotionally, you create within yourself an attitude of gratitude. Having an attitude of gratitude (even for wealth that you don’t actually have yet) charges up your wealth attraction magnet and helps to bring about that which you know is coming to us. You’ve already proven your intelligence, talent, and tenacity as a coach. You work hard, and you have so much to offer, so why isn’t your value reflected in your pocketbook? You could be repelling money with unconscious beliefs and behaviors. Your clients need you to prosper. 1. Appreciate money! If even a penny shows up on the sidewalk, thank Money for the gift. Don’t worry about denomination; appreciate everything. Think of how good you feel when you are valued for even a small gesture. It’s the same for Money. Every time you practice receiving and appreciating, you train the universe to send you more. 2. Strengthen your Boundaries. I define boundaries as the courage to say “yes” to what you want and “no” to what you don’t want. You teach the universe how you want to be treated with every choice you make. Let go of what others think about you, and be true to yourself. Clear the clutter and energy drains in your life. Weak boundaries attract exploitation, resentment, and a sense of powerlessness. Strong boundaries build your self esteem, and they free you to focus on what is important to you. This is very attractive. 3. Make a Wish List. Make a list of 100 things you would be, do, or have if money were no object. The length of the list stretches you out of scarcity thinking. The items on the list put what you want on your radar. Wish lists are magical. Through a mental process called Reticular Activation, your mind will start to discover opportunities to manifest the items on your list that may have been invisible to you before. Notice how things on your list will “show up” with the means to pay for them! 4. Become an excellent money manager. Automatically divert a percentage of your income into a wealth building/financial freedom account. Get in the habit of building wealth for retirement even if you are paying down debt now. And set aside something to give to the charities and causes you care about. Nothing builds a sense of abundance like the ability to give to others! 5. Surround yourself with the people who have mastered what you want to learn, and you will evolve yourself that much faster. I call this Success by Association. We naturally take on characteristics of the people we are around the most. If you want to be financially free, spend your time with financially successful people who share your values. Pick up their mindset and practices for wealth building. Your worldview and your behavior will naturally shift to support more abundance. Tom Pauley wrote an excellent book called "I am Rich Beyond My Wildest Dreams." It remains my favorite book on writing goals and sending request out into the Universe. 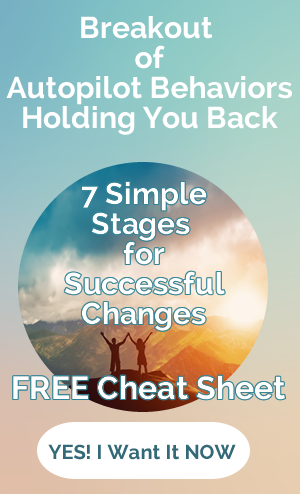 Tom introduced me to a very simple exercise to shift the mind from lack to abundance. The instructions on how to write your request really drove home the idea of an abundant mindset. He recommends using a spiral notebook. Write one desire on every other line and only use one side of the paper. He said asking God to allow you live abundance starts now by skipping lines and writing on one side. The inexpensive cost of a spiral notebook make it easy to buy more when you fill it up. I keep a stash of them in my office. This approach got me thinking about other "small" ways I could start thinking in terms of abundance instead of focusing on lack. I asked myself the following question: "Am I holding, hoarding or not using something because I’m afraid I can’t afford to replace it?" Wallace D. Wattles said, "Nature is an inexhaustible storehouse of riches; the supply will never run short." You probably heard life’s too short… so use good china everyday instead of saving it for those few special occasions. I thought why not… why am I saving it? Lack mentality thought that if it gets broken I can’t afford to replace it. I said to myself, God will provide a way if I need to replace it. I love fresh flowers. So every week a bouquet of fresh flowers adorns my office desk. Little indulgences can make you feel wealthy. Adding a little luxury in your life is a great way to feel rich. Remember, your subconscious thrives on feeling and emotions. First I’m not advocating you going into debt. You can begin to do small, simple things to give you pleasure. 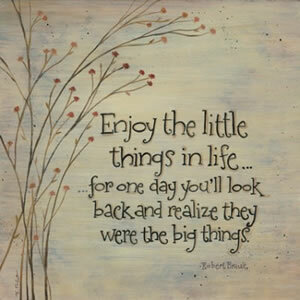 Have fun and enjoy what you have now. Here are few things to start creating your indulgence list. Don’t save your good china, use it. A bouquet of fresh flowers does wonders for the soul. Use colorful cloth napkins instead of paper ones. Take a long luxurious bubble bath. Splurge on a silk robe. Silk feels so luxurious against your skin. Sip ginger ale or club soda from your crystal champagne flutes. Sip red wine from a chilled wine glass while eating a square of deep dark chocolate. Treat yourself to a pedicure, massage or facial. A colleague of mine recommended a new release book from one of her favorite authors. I couldn’t resist her glowing review and headed to the bookstore to purchase Alexandra Stoddard’s "Living a Beautiful Life. 500 Ways to Add Elegance, Order, Beauty and Joy to Every Day of Your Life." Consider the things that would make you feel happier about your surroundings. The idea is to have fun and enjoy your life and see yourself as deserving. 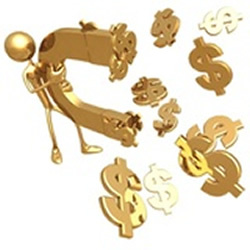 I’ll see you with next article in this series: 5 Top Tips for becoming a Money Magnet. P.S. Let me know below what "little" indulgence you plan on doing. I’m very happy to feature my friend and money mentor Morgana Rae. She’s contributed several articles to the Positive Money Mindset series in preparation for the launch of the updated 21 Day Money Mindset Program. In this article, she shares her story, the discovery of her breakthrough and the steps to transform your relationship with money. Your current financial situation is a direct reflection of your inner relationship with Money. If you don’t like your finances, something needs to change in your relationship. This is where Alchemy comes in. Alchemy is the art of transformation. With roots in ancient Egypt and classical Greece, Alchemy comes from a time when there was no distinction between science and magic. The mysteries of matter and consciousness were inextricably linked (as they are again, in today’s quantum physics). These ancient studies gave birth to modern medicine, psychology, chemistry, and even Sir Isaac Newton’s work on gravity. The ultimate pursuit of Alchemy was the "Philosophers’ Stone," a substance believed to turn worthless metals into gold. While Alchemists through the ages slaved in the laboratory, their metalwork concealed a spiritual process, a Philosophers’ Stone which had to be kept hidden from the Church: this was the process of inner transformation. Two principles are involved here: 1) turning lead into gold was an outer demonstration of inner transformation, and 2) the seed of the solution (the gold) was hidden in the problem (the lead). I invite you to use this chapter to discover your own Philosophers’ Stone—your key to wealth and inner transformation—hidden in your relationship with Money. Rule #1: As it is above, so it is below. What shows up in your head is going to show up in your life. This chapter will be using fundamental Relationship Coaching skills to help you transform your relationship with money from a dead seed into a flowering garden. A seed comes to life as a living, thriving, fruit-flowering plant…in the right environment. So, too, your own prosperity. Your potential for financial abundance is there, waiting for the necessary environment within you. Your relationship with money is like the soil that feeds or starves your economic growth. As long as you have hidden beliefs that cause you to unconsciously repel money, perhaps "protect" yourself from wealth, your garden will not grow. Rule #2: There is no scarcity. A wealthy client once explained to me how he had overcome poverty. "The amount of money out there in play every day is limitless, beyond our comprehension. Money is everywhere," he explained. And it’s available in proportion to "how big your funnel is to take it in". He had learned to tap into the Source. This relationship supported him. Rule #3: Consciousness gives you choice. I assert even a small change in your relationship consciousness can have a huge impact on your material life. You get what you choose, but first you need to know what you’re choosing. How do I know this? I experienced this transformation myself. For years I was struggling as a life coach. I had trouble attracting clients who would pay the fee I wanted. I found myself avoiding discussions of money as long as I could. The whole subject embarrassed me, and my discomfort translated into making clients uncomfortable too. I was "doing" all the right marketing things–networking, newsletters, sample sessions–and getting nowhere. I was not making a "grown-up" living. What was in my way, I wondered? My coach and I took a look at my relationship with Money. What were my stories about Money? What is this entity I’m in relationship with? What’s going on with this relationship? Money didn’t feel safe or reliable, and Money caused separation. If my experience of Money were given personhood, he’d look like a tall, scary, dirty Biker who caused fights at parties. This is the kind of guy I’d be watching carefully, always making sure to keep a safe distance. No wonder I wasn’t bringing Money into my life! This was not the relationship with Money I wanted to have. (And it wasn’t the relationship I wanted to model for my clients either.) So I created a new paradigm. I fired the Biker persona and put a tall, dark, handsome and romantic suitor in his place. He wore tails and carried a bouquet of red flowers. He wanted to woo me. Can you imagine what it would be like to be wooed by Money? I related to him in a whole new way. This was the guy I wanted to have a relationship with. He loved me. I would do anything to make him happy. I asked my new Money what he wanted from me so he could stay with me. Money responded, "Appreciate me. Love me. Stop treating me like a monster." I immediately saw how I had been treating him like a monster every time I hesitated to state my fee or didn’t demand payment. My behavior changed immediately. Over the next week four people called me out of the blue to hire me as their coach. I could feel my mouth wanting to move in the familiar patterns that would talk them out of the sale. I had to literally bite my tongue and shut up and let them hire me. You don’t say no to gifts from your beloved. Whenever I received a check, signed a new client, came across some unexpected income, I graciously thanked Money for the gift. I wasn’t just thanking an abstract concept of abundance—I was thanking a person who was real to me. And this version of Money was valued and invited into my life. From then on my business and income kept growing. 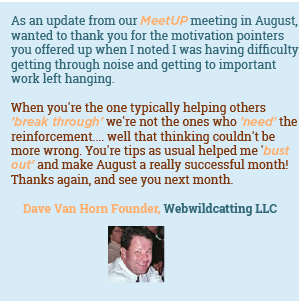 Within six months I had accrued such a waiting list of clients that I had to add group coaching to my services. I didn’t have to look for my new clients; they were finding me. And all I had changed was my inner dialogue with money. What negative things have you heard about money? What are some of the negative ways money has shown up in your life and in the lives of those around you. What beliefs get between you and prosperity? Dig deeper and deeper. You may hit several blank spots before you find the deepest beliefs that have truly driven your relationship with money. Give Money personhood in relationship to you. If these darkest experiences of money were a person, what would your version of this Money "person" be like? Make Money real. Who is this Money villain? Is it male or female? Tall or short? How is Money dressed? How do you feel about this Money? How does Money feel about you? Can you imagine that they way you relate to this Money villain could be impacting the way money is showing up in your life? Create a new relationship with Money. What kind of Money person could you open your heart to? Is this a person who lights you up—who you’d want a relationship with even if he weren’t Money? What does your new Money want from you to make this relationship better? What action are you going to take to demonstrate to Money that you take his request seriously? Make this new relationship real. Money is like any other relationship; it comes where it’s invited and appreciated. 1) Appreciate money! When a penny shows up on the sidewalk, thank Money for the gift. Don’t worry about denomination; appreciate everything. Think of how good you feel when you are valued for even a small gesture. It’s the same for Money. 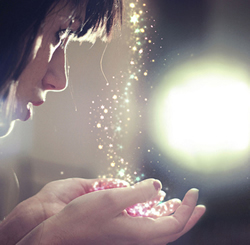 Every time you practice receiving and appreciating, you train the universe to send you more. Show the universe what you value. 2) By now your capacity to receive is growing. You’ll notice other stuff creeps in to limit the flow through your funnel to abundance. This stuff may look like clutter, broken appliances, old e-mails, toxic people, time wasters or other energy drains. Clean house! Make space for what you want by having the courage to release what you don’t want. You teach the universe how you want to be treated with every choice you make. And nothing gets the universe’s attention like saying "No." It’s your quickest ticket to miracles. 3) The most important place to make space for what you want is in your head. Clean out fear and pessimism. Plant love and trust instead. Your thoughts are your seeds, and you can grow flowers or weeds. What do you choose to grow? Think of the law of circulation like a pond. If water only flows in, it stagnates and can’t support life. If water only flows out, the pond dries out and can’t support life. Water needs to flow in and out of the pond to support life. The law of circulation works the same way. When you circulate money freely, more money flows into your life. Law of Circulation operates under several components: Release, Seeding & Receiving. Everything I did, all my current actions up to this point supported my old money beliefs. All my habits and behaviors concerning money were based on my old money beliefs. My subconscious did all it could to "protect" from money. I acted like a lunatic when it came to finances. I even put physical barriers in my office to keep money out. There was at least 5 banker boxes filled with bills, bank statements, business projects etc. In the past I would go through the boxes and clean them out but would never completely get rid of the them. There would always be at least one left for me to do "later." Those boxes allowed me to stay in denial about my financial situation. Those banker banks represented a physical barrier to keep money away. Obviously some changes needed to happen. To support my new relationship with money, would require new actions and habits. The first habits to make room for money was face those boxes and begin to get rid of clutter and chaos. Removing clutter and giving away things you no longer use or want will create a vacuum. Nature abhors a vacuum and fill up the space created by giving things away. In order to increase what you have, you must let go of what you think you need to hold onto. Developing an attitude of gratitude will lead to a giving mindset. The seed money principal is based from the law of circulation and the law of tenfold. Planting money seeds aid in developing a grateful mindset. It assists and reminds you that everything comes from God/Universe. When you trust God will provide for all your needs and everything comes from Him, you can release. Holding onto things you don’t need translates into holding onto a mentality of lack. I’m a firm believer in God, but you can use Universe, Higher Power or whatever term makes you feel comfortable. There were years during my recovery of abuse that I got rid of "God" and used a sphere a light instead. Giving back to God is part of the seed money principal, often called tithing. You honor God and put him first by giving back 10% of what you receive for your income. This action reminds you that everything you have comes from Him. It keeps you connected to the source of all. It’s a wonderful way to protect you financially, emotionally, spiritually and physically. I learned tithing is different from giving. Tithing is a dedicated percentage given to where you receive spiritual guidance. This act increases the effectiveness of your tithe. Giving is the key to receiving. Tom Pauley, author of I Am Rich Beyond My Wildest Dreams, says tithing get you into the school of success. Giving freely sets you ahead of the class. I let my inner guide me where to give. Giving and tithing creates a hole and you know how nature feels about that empty hole. The Universe is compelled to fill it up again. 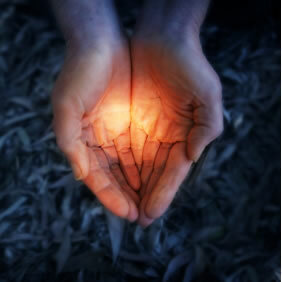 Giving freely activates the Law of Tenfold Return… for every good you give, you receive a minimum tenfold return. Whatever you want more of… give it away. You must be willing to receive. Many of us fall short on this area. Think about compliments. How gracious do you receive compliments? Make sure you’re willing to accept. Don’t refuse gifts… when you refuse a gift, you stop the other person from receiving their tenfold. You may not always receive from the source you gave to; your tenfold return most likely will come from someone else. Keep money flowing to you by becoming a gracious giver and a gracious receiver. Your beliefs about money will determine your financial outcomes. Schedule a complimentary 15 minute "Chat with Ann" session regarding your limiting money beliefs and your relationship with money.